To KERS or not to KERS: that seems to be the question facing teams as they move towards freezing the specifications of their 2009 designs in order to get on with the cars' building and testing. For a while now it has been acknowledged - if not by the sport's governing body, the FIA, then certainly by engineers charged with making the technology race-worthy - that the introduction of kinetic energy recovery systems in motorsport's top formula is more a sop to the need to be seen to be green than an earnest attempt at harnessing the energy produced by racing cars in 'off-gas' situations. That said, there exists little doubt that the mere fact that the technology is optional from 2009 onwards - despite having been banned earlier this century when McLaren intended to introduce it - will result in massive advances in their mass and dimensions, with obvious benefits for road car applications. However, some of Formula One's engineers, particularly those from companies already incorporating a form of KERS in their road car ranges, are lamenting the relative crudity of the systems, with some suggesting that energy recovery in F1 cars could be as little as 20% of potential. This is substantially below that harvested by production systems as already fitted to vehicles such as the Toyota Prius and Honda's Civic Hybrid, which are said to feed up to 50% back into their power trains. Others fail to understand why only the two rear wheels may recover energy when an F1 car, by definition, has double that number. At this juncture it is important to note that the FIA has left the choice of energy recovery systems open - thus batteries and capacitors can be charged by either flywheels or generators, or flywheels could be used to feed stored power back into power trains via constantly variable transmissions, such as the Flybrid system. However, apart from the question of technology, there is the question of cost: rumours doing the rounds in the Montreal paddock suggested that the lithium batteries which would appear to offer the most effective (note: not efficient) method of storage but cost upwards of £200,000 GB ($400,000 USD) per installation, have, like engines, limited duty cycles when operating at maximum output. And what else but peak performance does F1 seek at all times? Thus, there is little doubt that teams will optimise their lithium batteries, which would appear to be the preferred storage method amongst at least 90% of the teams at this point, to deliver peak performance over a two-hour race, and no more - and yes, you've guessed it, throw them away afterwards! Toyota F1 General Manager (Engine) Luca Marmorini admitted that this was the most likely scenario, saying that he "won't be surprised at the cost estimate", then agreeing that they are likely to be thrown away after every race. "I'm not a chemical engineer, but I doubt very much that once you have stressed such a battery in a race that you will be inclined to use it in the next race," he told autosport.com in Canada. Force India's Mike Gascoyne, though, hopes "the duty cycle will be at least a couple of races," but even on the basis of that (optimistic?) assumption, teams will be in for £100,000 per car per race - adding at least £4m to their budgets for a 20-season race, which according to all indications will be the case in future. So, whatever was saved in the long run by the engine freeze - which the FIA now seems intent on reversing if the reasons for the calling of a (ultimately postponed) meeting of Technical Directors in Monaco are to be believed - could be consumed by stocks of throw-away batteries which release 60 kW for six seconds every lap - or about 0.4 seconds/lap on the average circuit according to Gascoyne. As for 'throw-away', that could be too loose a term, for no race promoter wishes to have a half-tonne pile of batteries littering his paddock after F1 leaves town, so the teams will likely be forced to take them back to their respective bases for disposal by burning - at which point the batteries allegedly produce pure, unadulterated arsenic. "Throwing away those types of batteries is not the most environmentally friendly thing you can do," said Gascoyne in Montreal. He would, though, not be drawn on the arsenic angle, save to say, "Well, it depends on the type of battery used, but obviously we're using fairly complex stuff for batteries, so yeah..."
'Fly-away' races will present even more of a challenge: will teams be permitted to dump their batteries in host countries, or will they each be required to fly no less than 100 kilograms of lithium batteries - two per car, including a spare - to and from races? Again, neither option seems particularly responsible, which is, after all, what KERS is intended to be. But, green or not, battery costs are not the only economic consideration: with the FIA refusing to increase minimum car weight from the present 605kg with driver, and with KERS, regardless of system thus eating into ballast weights, or even pushing total weight beyond the regulatory minimum, the pressure is on teams to reduce the weight of 2009 designs to compensate. And, weight saving costs big money. 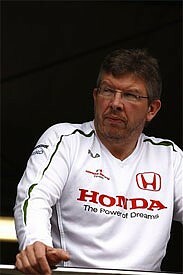 Honda team principal Ross Brawn admits this could be an issue, although he believes the sport is able to manage the risks. "I think the safety aspects of KERS do need careful consideration, and I think the teams and the FIA are doing that and it is one of the areas where everybody is co-operating to find solutions. "Safety is of concern to all of us, and none of us want the competitive element of Formula One to get in the way of safety considerations," he reiterated when talking to autosport.com at the Circuit Gilles Villeneuve. "But we shouldn't forget that we still have 70 or 80 kilogrammes of fuel in the car and we have managed to handle that safely," the technical and strategic genius said before conceding that it took the sport an awful long time to manage fire risks. "I hope we have advanced somewhat, and people back then were prepared to accept that there was a certain risk element; we're not prepared to that any more so I think KERS won't be allowed unless we solve the safety problems." 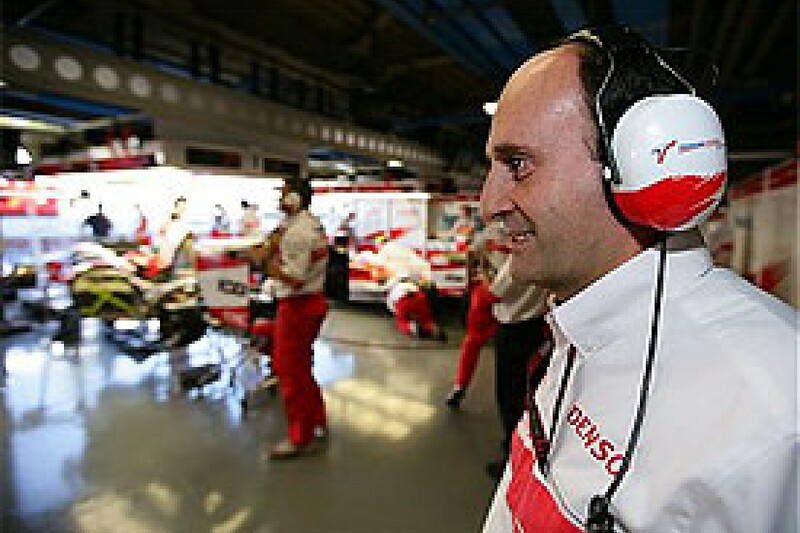 Here teams face a quandary, for no safety procedures have yet been framed by the FIA, which has, according to Marmorini, delegated safety to teams. "It's completely up to the teams, so the FIA will inspect the Failure Mode and Analysis of every team to see if the system they use is safe enough, but the FIA will not be responsible for the safety, so it is completely up to the teams. So it's difficult..."
Safety is a concern even where flywheels are the energy recovery method of choice, for there is the obvious hazard of 10 kilogram carbon fibre flywheels spinning at up to 60 000 rpm. Whilst crash tests under controlled conditions prove flywheels can be contained, race conditions are everything but controlled. Then there is the technical complexity and the risk of ever more items to go wrong, go wrong, go wrong. According to Brawn one of the biggest challenges facing engineers, apart from, of course, the weight penalty, is the control of brake proportion on the rear wheels. "KERS is driven through the rear axle under braking," he explained, "and once you've saturated the storage device to the permitted level then obviously the torque through the rear axle can change. That is potentially a tricky thing for the teams to manage, so the gain is maybe two or three tenths of a second, and the loss is the ballast or weight, and the packaging and the issue of torque management of the rear axle. It's far from slam-dunk, as they say..."
Which led to the obvious question: Have you considered running without KERS next year? "I think every team is going to cover both options, because none of us today know how good KERS is or is going to become. It will take a while before we are able to overcome the disadvantages and there may be different iterations and versions of KERS, and maybe there are other technical solutions. That is what everybody is working towards." A Toyota source also admitted the team had taken a policy decision of running KERS only where it provided a clear lap time advantage. "Yes, we discussed it, and were clear on the matter - if our cars are not markedly faster with KERS than without, then we won't run it." Despite the fact that Toyota is the planet's largest manufacturer of hybrid cars? "Yes, don't forget we also have conventional cars in our range..." was the spontaneous response. BMW, the other manufacturer in Formula One with perceived ecological credentials, has to date concentrated on alternate fuels - with diesel and hydrogen power being the main beneficiaries of this research, but seems to be totally committed to KERS. However, Professor Burkhard Goeschel - its former director for development - played a major role with FIA president Max Mosley in suggesting the concept, so, just maybe it is a case of they would go that route, wouldn't they. What, though, if KERS turns out to be slower? So, with two of three manufacturers still evaluating whether to run with KERS, one seemingly committed to alternate fuels, and the rest - apart from Williams, who have made a tradition of ploughing a lone furrow and have thus bought into a hybrid energy recovery company - having campaigned for a postponement in its introduction during a team bosses' meeting during the Spanish Grand Prix , what chance less than half the field actually racing with KERS at the 2009 season opener?